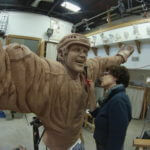 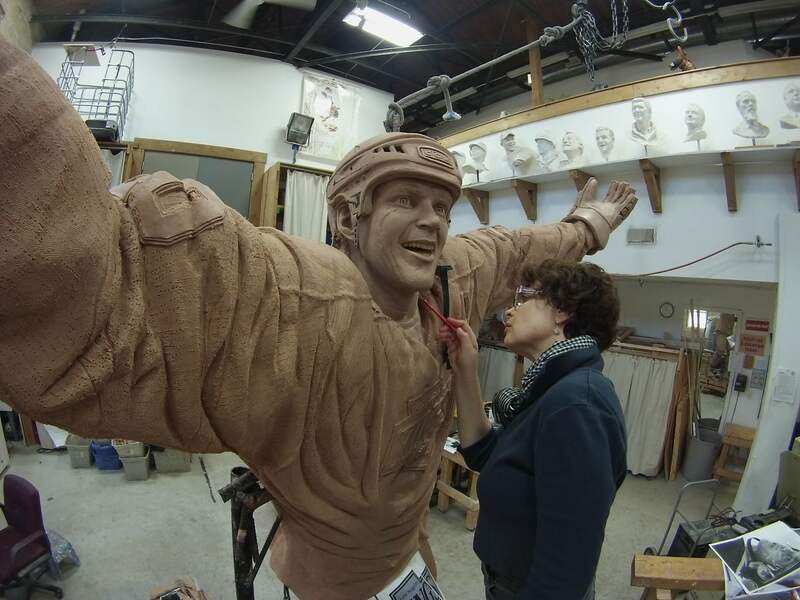 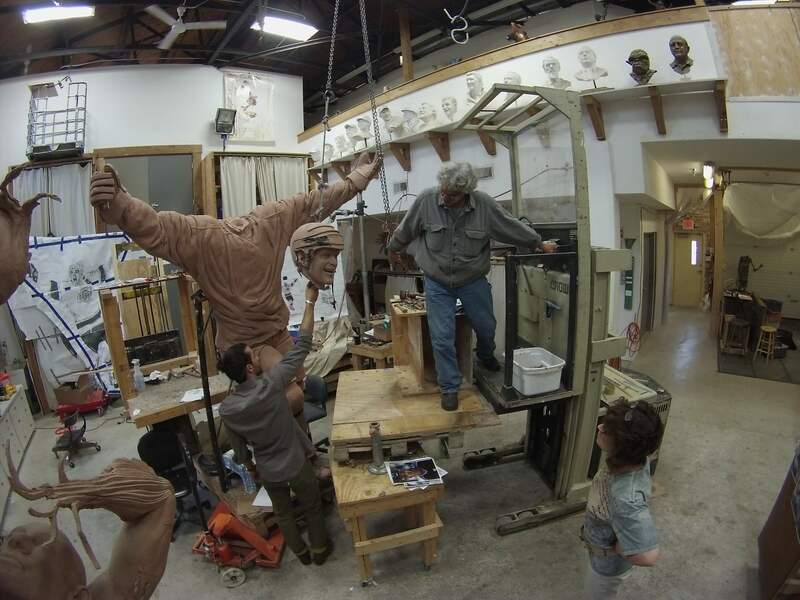 The Fine Art Studio of Rotblatt-Amrany proudly announces the unveiling of their latest project, a larger-than-life-size bronze statue of Los Angeles Kings former star player, Luc Robitaille. 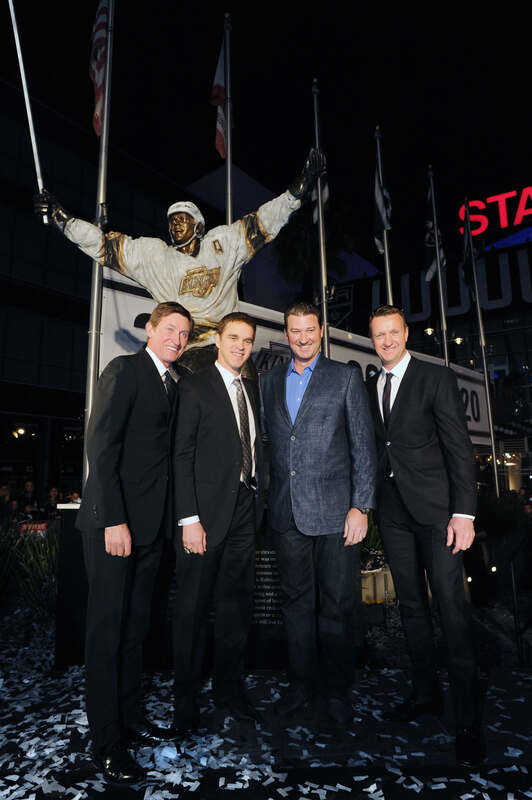 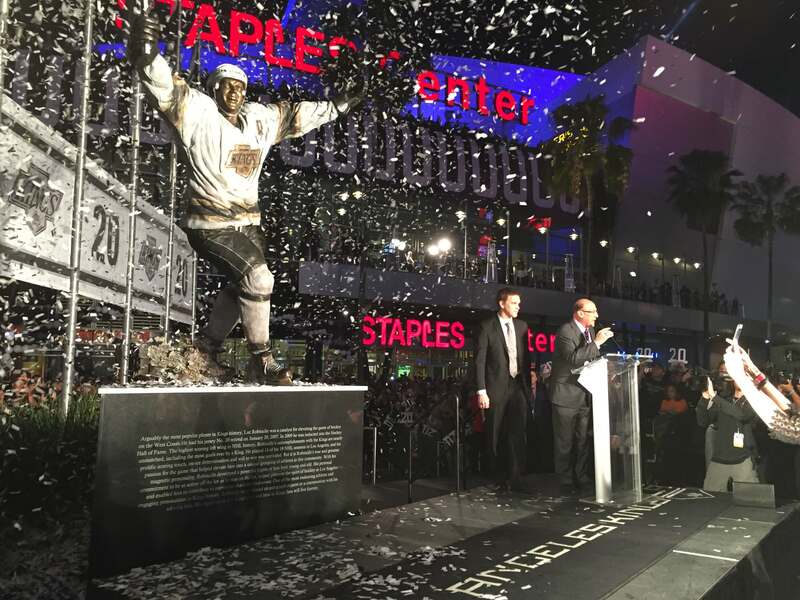 The bronze monument is permanently installed at Star Plaza at the Staples Center in Los Angeles, CA. 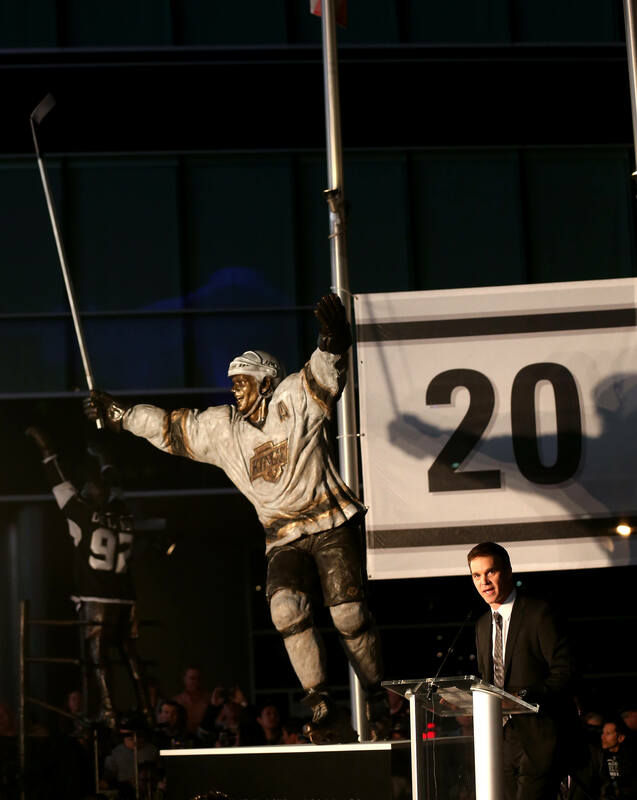 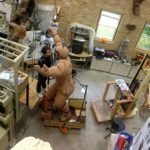 The bronze statue of Lucky Luc’s celebration stands atop a granite base which combined, weighs 2500 lbs, and towers at 19 feet tall. 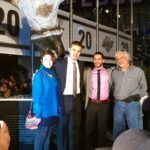 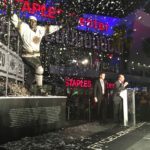 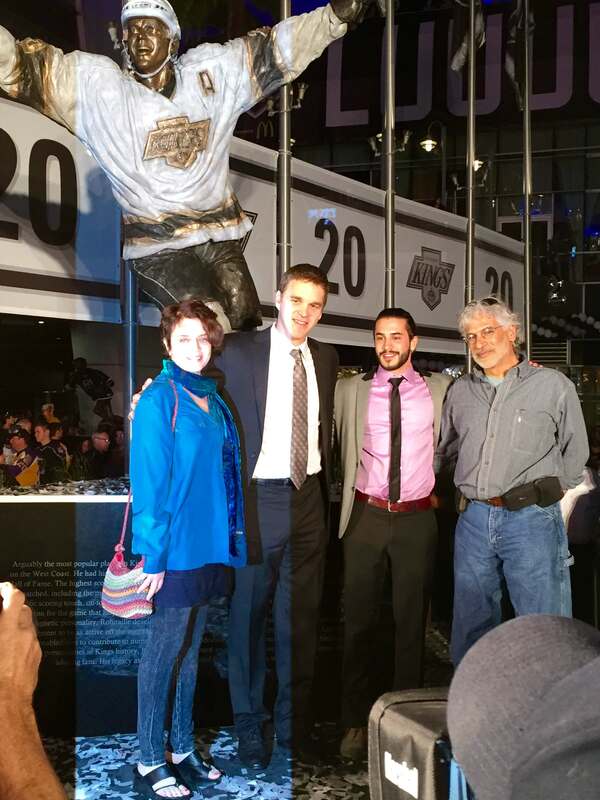 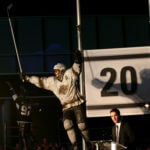 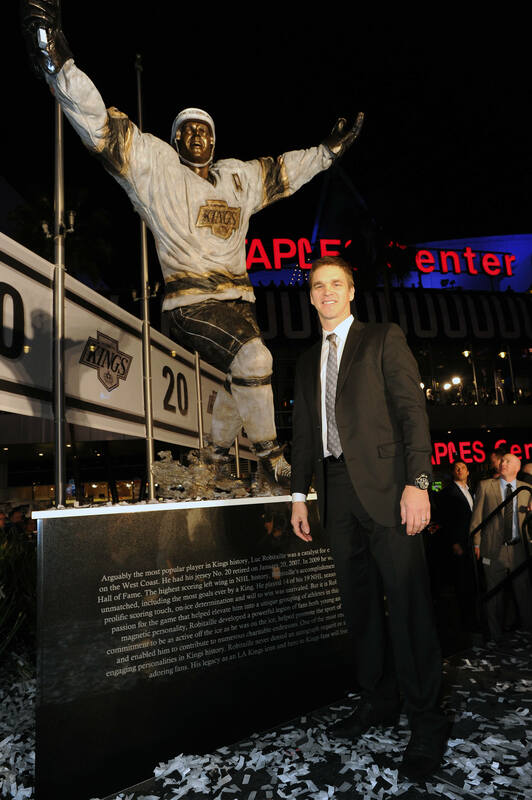 Robitaille is the seventh Los Angeles sports icon to be honored with a statue in Star Plaza at Staples Center.The statue serves as a tribute to his contributions and achievements, including his status as the highest scoring left winger in the history of the sport.